17 total news articles in this section, 10 per page. It's speculation and wishful thinking time, thanks to a post on the Cybergeeks Alliance Facebook page, apparently by fellow fan Fudyn Randomspawner. 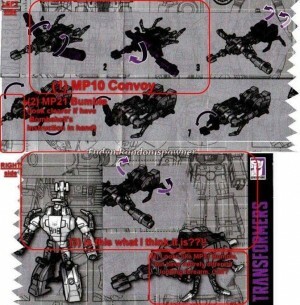 Taken from the instruction booklet for Transformers Generations Legends class Bombshell, the user has spotted what looks like a Megatron design sported alongside one of Masterpiece Optimus Prime, possibly Bumblebee, or maybe even a potential Cliffjumper. As we said, all of this is speculation, undoubtedly with a lot of wishful thinking, so get out the salt - but in the meantime, check out the image for yourselves! According to USAtoday, Hasbro is in talks to buy DreamWorks, the Studio behind animated movie franchises as Shrek and Madagascar. While NY Times is citing anonymous sources that talks are in "advance stages" and the deal would include a combination of stocks and cash. 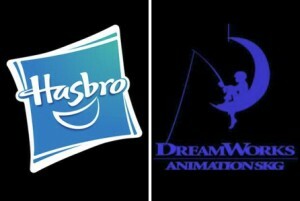 This deal with Hasbro would forge a family entertainment powerhouse to be called DreamWorks-Hasbro. With Hasbro already owning 40% of Discovery Family, they are making it clear that they want to be the leader of family entertainment, using this media to promote their games and toys including Transformers. According to Deadline.com, "DreamWorks Animation is deeply engaged in two potentially game changing negotiations that could transform the company — including one with Hasbro to forge a family entertainment powerhouse to be called DreamWorks-Hasbro. The other talks are with Hearst to turn DWA's AwesomenessTV into a joint venture." DreamWorks' Jeffrey Katzenberg would become chairman of the combined operation, the website says. This has been a long way in the rumour mill by now, but it seems more and more the case that director Michael Bay will indeed not be returning to the Paramount/Hasbro franchise, working instead with the studios on other projects. The 'confirmation' - and please notice the quotation marks - comes from sites such as Variety and IGN, but, and we cannot stress this enough, it has not been officially confirmed by Bay or Paramount yet. Read on below for yourselves to see what you make of it! 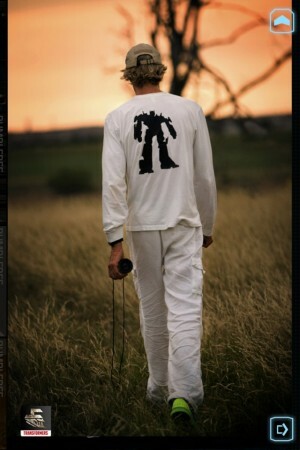 After making it clear he will not be directing the next “Transformers” pic, Michael Bay may have found a project that doesn’t involve larger-than-life robots. Bay said he believes he'll hand directing duties on Transformers 5 over to someone else so he can work on other projects, such as a documentary about elephant poaching. "There's kind of a new chapter, a new direction in movies I want to make," said Bay, who's helmed all four live-action Transformers flicks. "I have a lot of stories to tell. And it's about flexing new muscles." 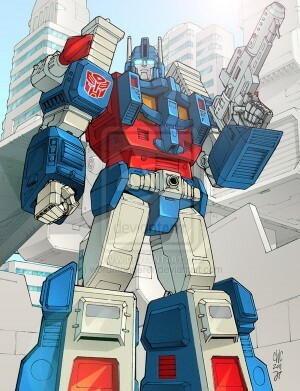 Generations Leader Ultra Magnus Rumored to be on the way? Whilst scanning through the transformers at work today, I scanned the AOE leaders and found the 2 Megatrons to be crossed with the movie leaders and a listing for an Ultra Magnus. Please treat this as nothing more than a rumor for now. So Masterpiece Ultra Magnus and Generations Leader class Ultra Magnus in the same year? Will this be a new mold or another Prime repaint? Let us know what you think and speculate away here at our Energon Pub and remember keep your optics tuned to Seibertron.com for the latest in news and updates, plus the best galleries around! Some of you may already have their hands on the recently released BluRay edition of Transformers: Age of Extinction. And some of you may have seen the special features regarding the design and production process for the toys. Which also means you may have spotted a Dinobot shaped intruder: could this be our first look at the upcoming Robots in Disguise animated series Grimlock figure? Check out the image below, via fellow fan HaltroN1 on Twitter! Some sneaky news from the SDCC 2014 Transformers panel, as the Hasbro News Twitter account took questions - for one hour - from fans during the preview evening, and are currently answering a selection of them. The first question answered concerns the possibility of more Generations Titans figure, after last year's Metroplex (and its SDCC 2013 exclusive counterpart!). Metroplex was tied to the Fall of Cybertron game. Big character, big product & you guys love him. We're always looking to do things that tie together with our great stories. If you guys continue to love the great products we put out we're going to continue to make them! The second answer addresses the return of fan-favourite Transformers: Prime Knock Out. We always get lots of Q's abt everyone's favorite characters from #Transformers lore. We look at Transformers and there’s 1000’s of wonderful characters to choose from each year. We think about all the great fans of all ages from Rescue Bots fans to Generations fans. So we try to balance the toy line each year to pick characters that fans of all ages will love. Third question is about more characters, Hot Rod and Blurr! Hot Rod & Blurr – some of our favorites & great characters from our history that many know & love! Each year we think about the stories we want to tell to Transformers fans of all ages. We want to make sure we’re tying the product line with the stories being told. We love to get fans’ feedback as we move forward and build new stories for all of our fans. All of which sounds like the most non-committal definitely maybe answer in a while. But feel free to speculate away in the Energon Pub discussion boards: what do you think? Will we get more Titan Class figures? Would you like to see more of a particular character? Quite a while ago we reported the beginning of the Fan Poll Choice Masterpiece Star Saber's journey to production, with some early study sketches. Today, Twitter account TFYuki has teased what could be a fairly big reveal for the figure coming tomorrow. Check out the image below, which appears to feature the original toy's feet over some new design sketches, and speculate away! 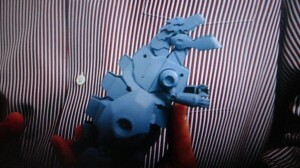 UPDATE: The account has also tweeted an image of the new figure's prototype feet, mirrored below. So everyone, tomorrow at the Tomy booth at Tokyo Toy Show 2014 "Let's Say Go!" Fellow Seibertron.com user Autobot Genocide has spotted an image on the Planet Iacon Facebook page that seems to suggest some Transformers: Prime mold (and not only) might be repainted into none other than the Autobot Protectobots team! 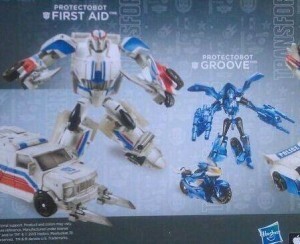 The image, mirrored below, includes Deluxe Ratchet as First Aid, Beast Hunters Prowl as Streetwisesmart and Cyberverse Legion Arcee as Groove, all in the same pack! There is also a smaller image for a Protectobots Evac Squad featuring a redeco of RotF Evac and Generations Grappel as Hot Spot - check it out. 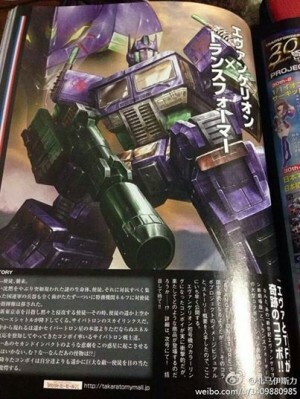 Courtesy of the Planet Iacon fanpage on Facebook, we get a look at an interesting piece of artwork found in a hobby magazine, featuring Takara Masterpiece MP-10 Optimus Prime in new colours, vaguely reminiscent of the Shattered Glass deco. But no, they are in fact the colour scheme of extremely popular (in Japan and elsewhere) anime franchise Neon Genesis Evangelion based EVA Unit-01, shown in the background of the piece. Take a look at the mirrored image below, and a translation of the text, courtesy of Anime News Network! The Angels are invading. Breaking a long silence, the mysterious life-forms known as the Angels suddenly appear. The weapons the UN forces gather together in retaliation can't even scratch them. In the end, they turn to the secret agency, NERV, to manage the anti-Angel strategy. With Neo-Tokyo 3 in their sights, the Angels slowly advance upon the city...but suddenly a spaceship comes hurtling down from the sky above the Angels: the Sky Lynx! Out of the ship emerges warriors of the far-off planet Cybertron. They've come to investigate after noticing an unusual energy reading. "We can't let a disaster like the Second Impact occur on this planet." "What?! What are these monsters?!" The shocked Cybertron convoy sets its sights on an enemy much bigger than themselves. ROM The Spaceknight Coming to the IDW Transformers Universe? Remember ROM The Spaceknight? He was one the plethora of robot toys that were launched back in the early 80's, and Milton Bradley and Marvel had hoped to build a franchise around his cosmic adventures. Unfortunately for Milton Bradley the toy tanked, but the Marvel comic gained a following and ran for several years. So why are we talking about him? Over the past year or so ROM has been showing up on the Transformers radar. 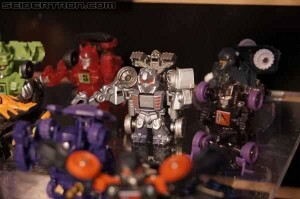 This mysterious silver Transformers Bot Shot was among the new figures displayed one year ago at Toy Fair 2013. We later discovered that the figure in question was indeed ROM The Spaceknight when that massive list of upcoming figures leaked out of Hasbro customer service. 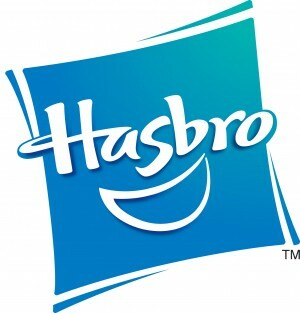 So, there are currently three trademarks Hasbro has applied for. The first is for comic books and was granted in April 2013. They've already used the first of their five possible extensions to use it in commerce (i.e. publish a ROM comic book). Extensions are required every six months if Hasbro doesn't have proof of use. Five extensions give them three years to do so. The second trademark is for "toy action figures and toy robots convertible into other visual toy forms," which leads to the already existing rumor that Hasbro is going to make Rom part of the Transformers toy line. It, too, was granted in April 2013 and has had one extension filed against it. The final trademark is for "entertainment services, namely an on-going animated television series for children." This one was only granted in June 2013 and, because I've gotten lazy, is new to me. It would seem to contradict Hasbro making Rom part of the Transformers, unless such a TV series would be a spin-off of Transformers: Prime or something. The first extension was just granted last month. Bleeding Cool builds upon this by mentioning they've heard from a reliable comics source that IDW will be making a move on this property soon. Lots of potential within the Transformers universe for ROM. IDW's Transformers universe includes multiple robotic races, and let's not forget the upcoming BotCon theme features knights. 6,170 pages were recently viewed by 1,215 unique visitors. This page was viewed 1 times on Tuesday, April 23rd 2019 3:54pm CDT. © 2019 Seibertron, Inc. DBA Seibertron.com. All Rights Reserved. Established June 2000. Seibertron.com is owned by Ryan Yzquierdo.